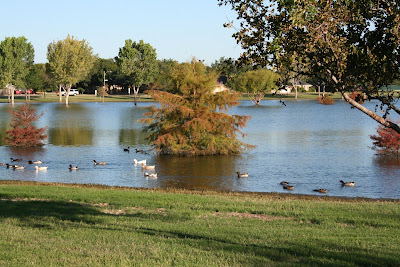 I decided to take my camera with me on Friday when I headed out to yard sales. I dropped the girls off at school, and the boys and I hit some around the school. Everyone was really nice about me taking pictures, except for the Dooney & Bourke lady (see below) that kept asking if I was going to put this in the paper. She looked pretty worried, so I put it away. I love going on Friday mornings because there just are not as many people and better selection. 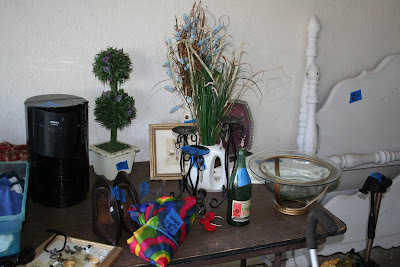 Without fail, I always see these round tables at yard sales, usually for around $1. 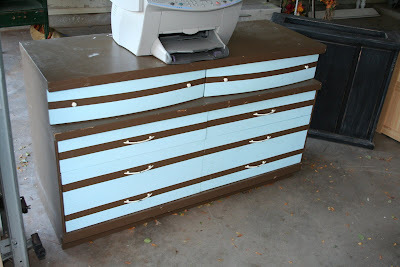 I have a fun, easy project that I did in my boys' room I will have to show you with some. 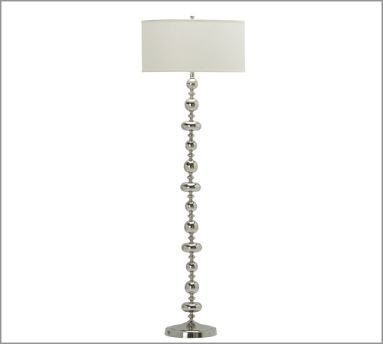 I'm telling you, these shapes in lamps are coming back in~with a little silver spray paint, you could have a Pottery Barn style lamp for $3, if this is your style. 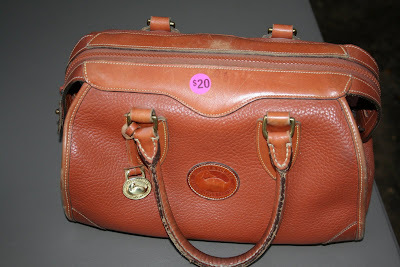 I found this one instead~it was only $1, and I thought it would make a perfect fall purse. Not D&B, but it's a great bag. We have a basic back and forth swing, and these 2 sweet ladies were telling me I needed this one. 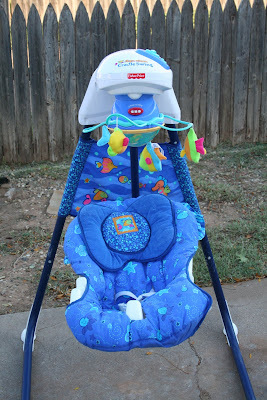 It's 3 yrs old in great condition and is one of those ones that goes back and forth, sideways, has the automatic mobile, music, ocean sounds, lights, you name it for $15. So, what do you think? Is there anything you would have definitely gotten if you were along with me? I'll show you what I did end up getting, but this post is already waaaaayyyy too long. 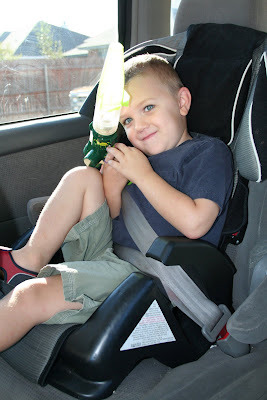 My little 4 yr old found a bug vacuum though that he has had so much fun with! 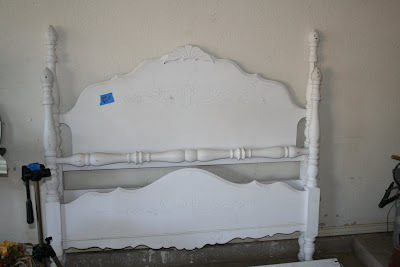 Oh, I love the white headboard/footboard. Was it queen size???? I would have definitely scooped that great deal right up. I like the purse you got. Would have bought that too. 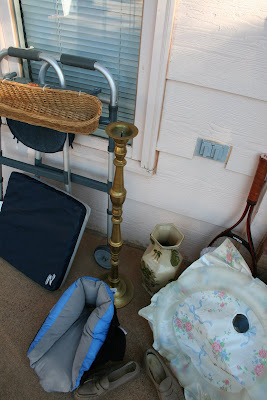 I just commented on another blog yesterday about fall yard sales. 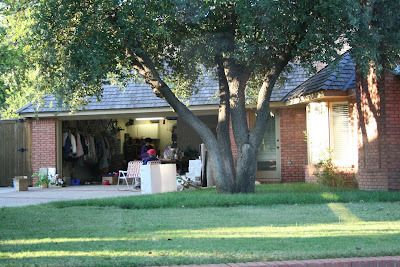 I rarely ever see a yard sale here in the northeastern part of US in the fall. Most of the yard sales around here are in the heat of the summer. First, I am kicking myself that I missed your giveaway, dang!!! I need to start adding my favorites to my sidebar and quit being so lazy. I love the bed frame, I can't wait to see what you do with it. And that little green table, tons of potential. BTW, I love your new blog, did you do it yourself??? Wow, now that is an awesome yard sale! 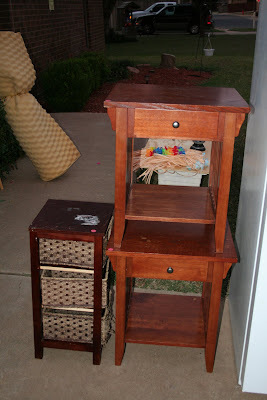 I would have had to get those end tables- we only have one in our master bedroom. The little green side table and the white bed if it was a twin would have been in my car before you could say boo. I would love to find something like that for my daughters room. 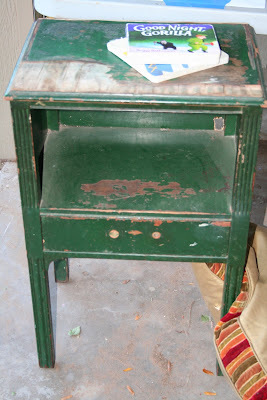 Now I totally wish it was Friday and I could go garage saleing! I would have paid any price for that doctor's scale a few pictures up...(just kidding.) I love the little topiary (is that what you call it?) plant shown on the table. I definitely need another dresser, so that baby could have gotten taken... you have the talent to see potential in other people's outcasts (like the roosters!). 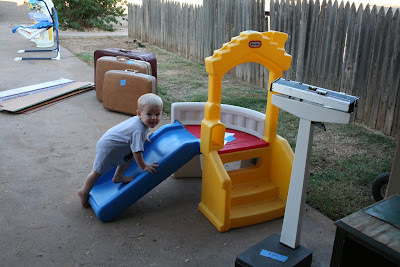 and I would have tried to talk the Little Tikes slide down and gotten that! 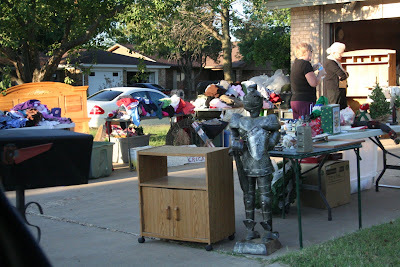 I've never gotten into yard sales- maybe someday I'll give it a try- I'm impressed with your VISION!! ps: I did get the Sharpies, though!! 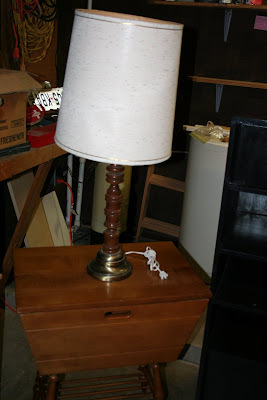 I'm dying over the lamp and the shabby green table! you have such a gift for beautifying everything you touch! 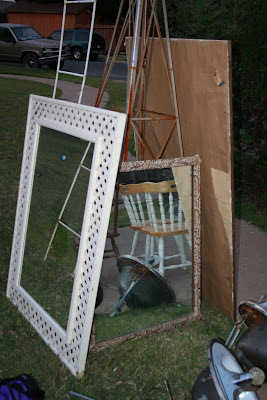 I would have bought that white mirror and spray painted it! Oh, Oh! I have a lamp JUST LIKE that! and I am not sure I could have walked away from that bed. My dh would have killed me, but it's soooooo lovely. I'll have a fabulous guest room SOMEDAY! anyway, dying to know what you went home with! btw, love your music on your blog! I would've bought the white bed. What a need bench or benches it would make. I also like the long candlestick in the second to last picture. Can't wait to see what you came home with. I would have bought a few of the little tables. I really liked the green one! I can't wait to see what you ended up purchasing. I will be checking my local paper tomorrow for sales on Friday. Great idea! I would have had to have you talk me out of about 10 items or so because Michael would kill me! Oh boy do I miss our yard sale days together! You were the BEST navigator! Can't wait to see the final products...how do you do it all? Loves! WOW lots of great stuff!! I need to hit some yard/garage sales around here! We need a headboard and some small tables!! Can't wait to see what you got and what you do with them!! That bed would have been perfect for Brooke! Keep on the look out for full beds for me Melissa. 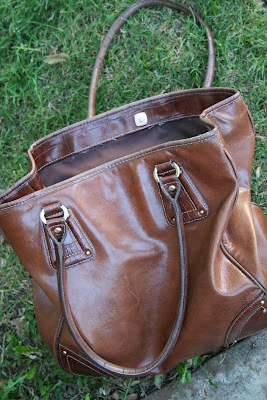 You seemed to have all of the luck when it comes to garage sales! I would have had to get that white bed. What a bargain. 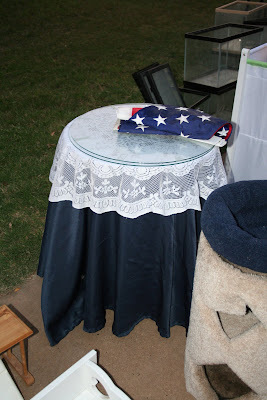 Great job on the rehab of the little table. It looks great! What fun stuff!! Those yard sales have some real treasures. You got great items! I love yard sale'ing!!! !